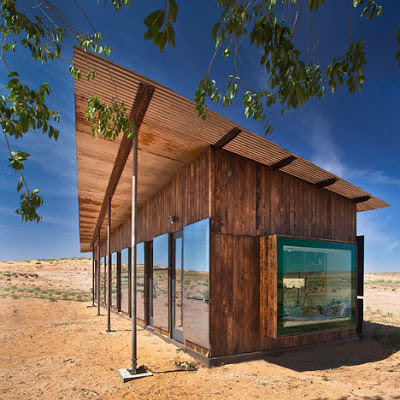 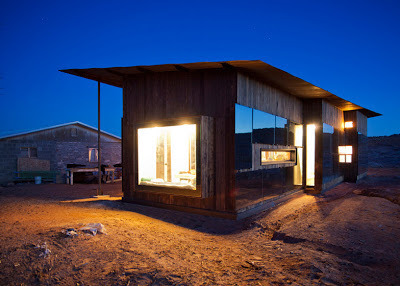 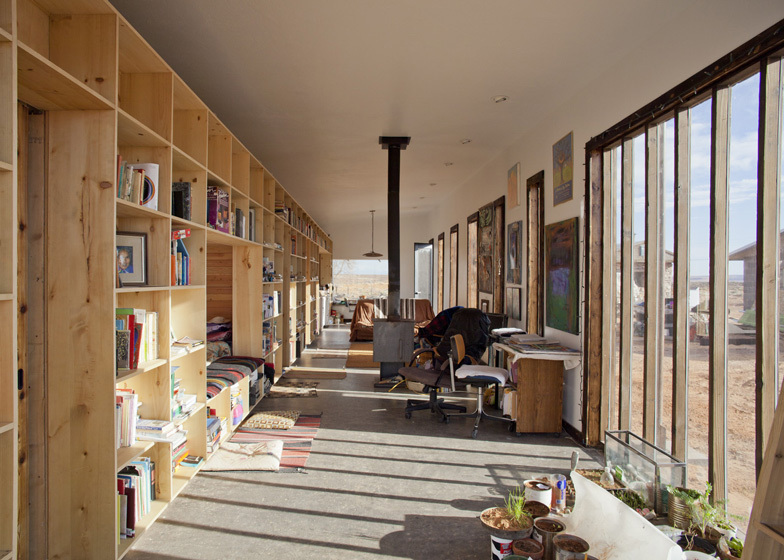 The Nakai House, recently posted online in Dezeen Magazine, was designed and built by University of Colorado students for Lorraine Nakai, a Navajo woman out in the Utah desert. The house appears to hit a lot of the right buttons in considering the clients aspirations, site conditions, harsh desert climate and budget. Good design, while often considered the province of those with means, is quite applicable in most every circumstance. 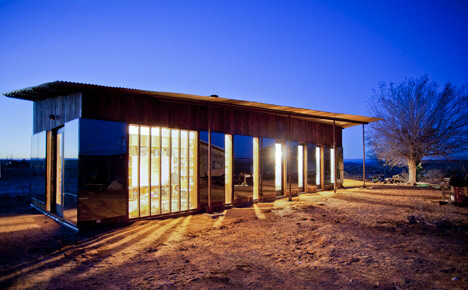 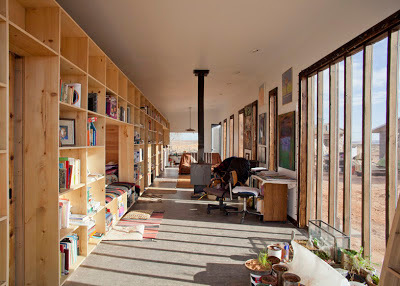 See more @ http://www.dezeen.com/2012/12/11/nakai-house-by-university-of-colorado-students/ The proper attribution to those involved can be found there.